This package is perfect for the minister about to perform a marriage ceremony. 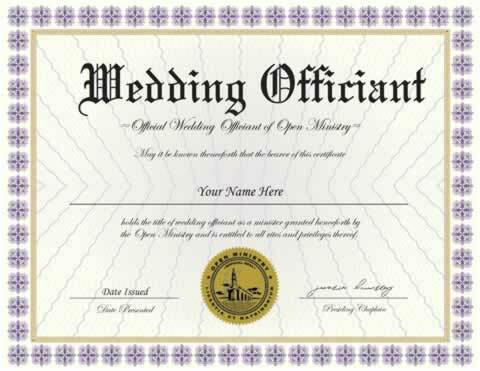 Display your official Credentials of Ministry to proudly announce your status as an ordained minister. 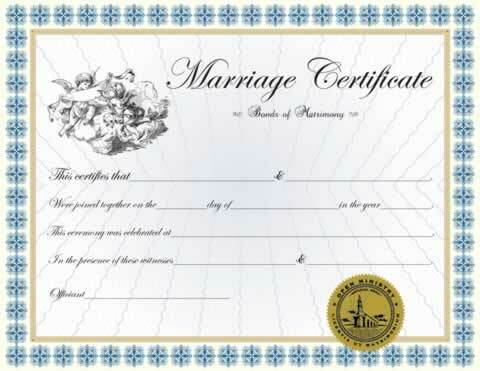 Give a Marriage Certificate to the couple-to-be as a commemorative gift and present it in the Certificate Holder to protect their certificate and enhance the presentation. 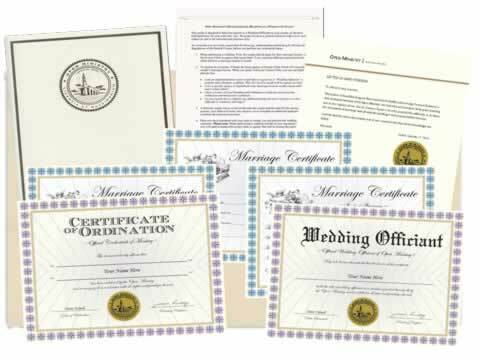 Become a wedding officiant today with this custom package that includes official church documentation for registration and display. The product came quick, much better quality then I imagined. Thank you for the great customer service. I like to thank you for the starter package you all put together! It is very helpful to us first timers who get ordained. It's very professional and handy to have as a quick view. I'm very grateful for your services! I was very impressed with the quality of the materials. 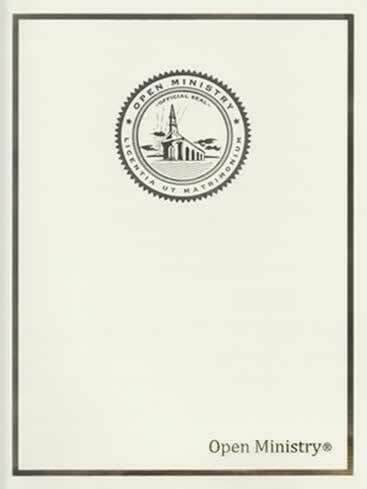 The booklet for different ceremonies was very valuable. The wedding was a huge success. Prompt and efficient service. Easy to follow instructions and helpful materials. I think that the experience that I've had with Open Ministry has been a blessing. Signed up to be the officiant at my niece's wedding. 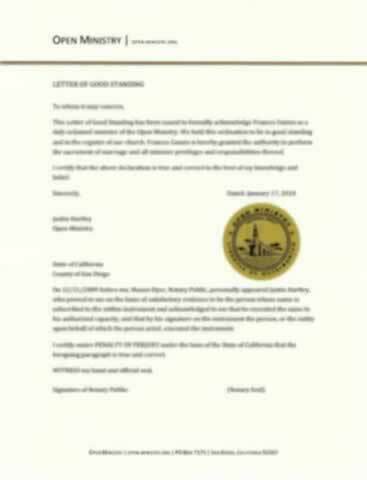 Somerset County Pa. says that the ordination is a sham, and doesn't recognize it as legitimate. They report that they never have, nor do they plan to do so. 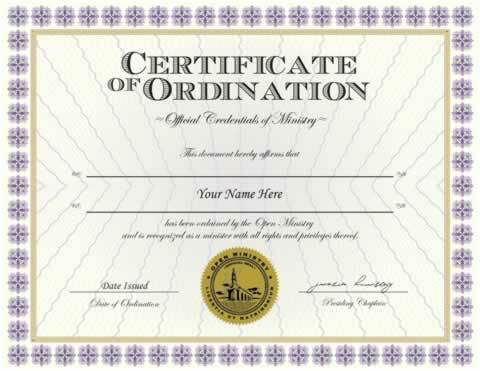 Our ordinations are 100% legal and valid in every state. Any county clerk who tells you otherwise, is abusing their station with color of law; by denying your right to register. Please contact our help and support for help registering in this county; from time to time there can be counties that will be obstinate about minister registration until we speak with them. I thought since the candle was featured in the picture it would be included in the package which it was not. Now I will have to purchase a Unity candle on my own.